It’s hard to get excited about yet another ramen joint opening in Hong Kong. Not that it stops ramen-heads from lining up for the newest openings and arguing the intricacies of what makes one place better than another. It’s all subjective, but that’s probably what makes it fun. Tetsu is open on the western side of Canal Road where the noisy, fume spewing flyover hasn’t deterred ramen enthusiasts from queuing up out the door. We order the house speciality tsukemen with the regular broth. The ramen is thick – almost udon-like – with an al dente consistency that would qualify as undercooked if it was taken out a millisecond earlier. This is precision stuff. Tetsu prides itself on its fish and pork bone broth. It’s a strong concoction but it lacks the oomph of the better tsukemen soups in town. However, while most chashu in ramen dishes is a flavourless afterthought, here the thick-cut pork is flavourful. The downside to eating tsukemen is the broth tends to become cold and cloying. 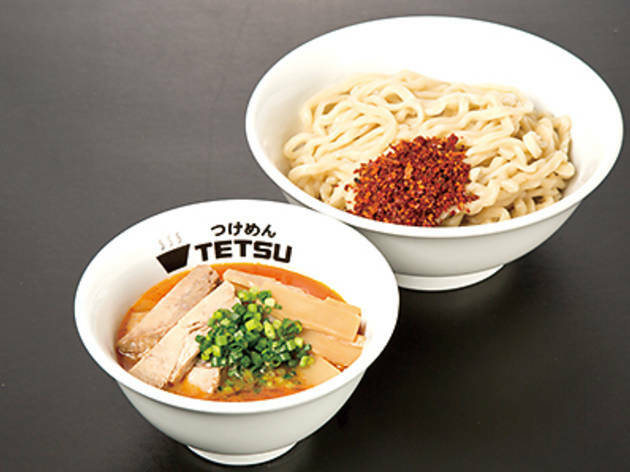 Instead of diluting it with hot soup, Tetsu places a heated iron stone in your bowl. The spluttering soup allows you to keep at the rest of the noodles in warm delight. 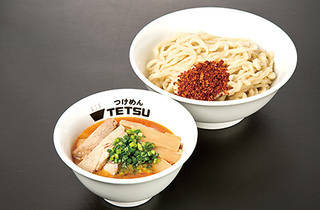 Tetsu 23 Canal Rd W, Causeway Bay, 2172 6433; fb.com/tetsu102hk. Dinner for two: $200.